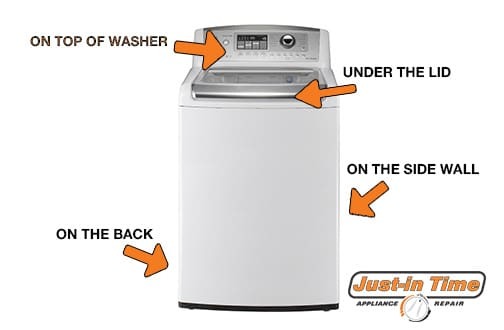 When you need service on your appliance, you can save a lot of time by locating the model number before you call for service. 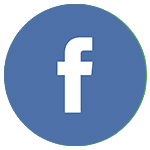 Every appliance model requires different parts, so the technician will have a much better idea of what your appliance might need when he has the model number. 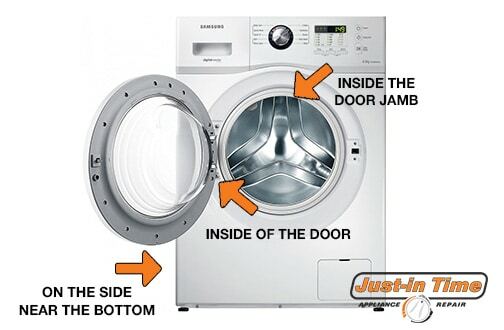 The dryer’s model number is usually on the side toward the bottom, inside the door, or inside the door jamb. Open the door and look at the insulated section right outside the drum, as well as on the bottom of the inside of the door itself. 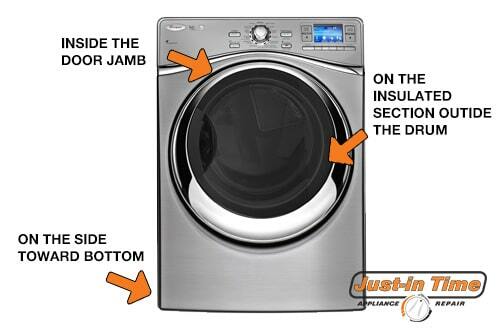 Top load washers almost always have the model number on the top, on the back, under the lid, or on the side wall. Front loader washers should have their model number on the side at the bottom, on the inside of the door jamb, or on the inside of the door. 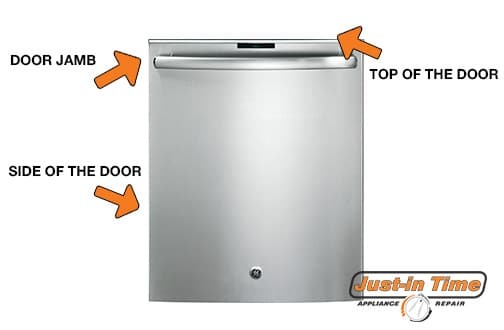 For your dishwasher’s model number, look in the door jamb, on the side of the door, and on the top of the door. Also, check on the inside tub. 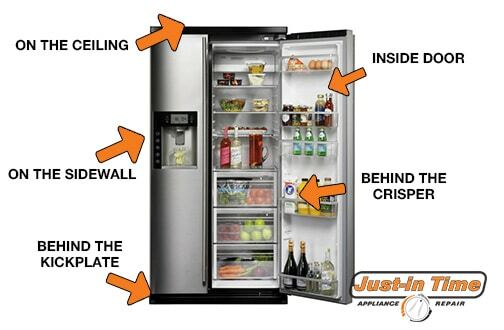 For your refrigerator, you should look on the ceiling, on the side wall and behind the kickplate, as well as on the inside of the refrigerator door, and behind the crisper. 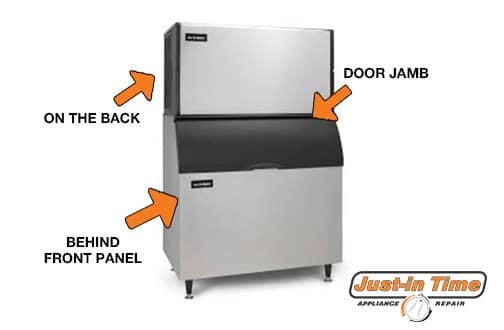 Your ice machine’s model number will be on the back, behind the front panel, or in the door jamb. 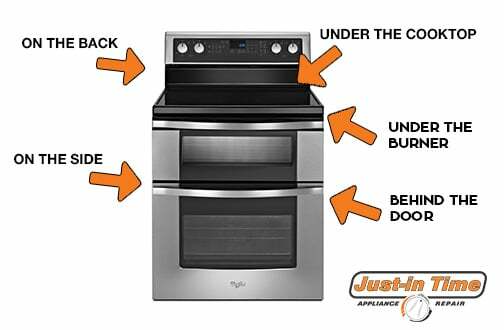 Ranges, ovens, and stoves model numbers may be found in any of the following places: on the back, on the side, under the burner, under the cooktop, behind the door, or behind the drawer.